Mesothelin is a cell-surface glycoprotein present on mesothelial cells and elicits T cell responses in a variety of cancers including pancreatic, biliary and ovarian cancer. Breast cancer is not known to express mesothelin. We postulated that mesothelin may be a unique tumor-associated antigen in triple negative breast cancer (TNBC), a less common breast cancer subtype which may have been under-represented in prior studies that characterized mesothelin expression. Therefore, we screened 99 primary breast cancer samples by immunohistochemistry analysis using formalin-fixed paraffin-embedded archival tumor tissues and confirmed that mesothelin was overexpressed in the majority of TNBC (67 %) but only rarely in <5 % ER(+) or Her2-neu(+) breast cancer, respectively. 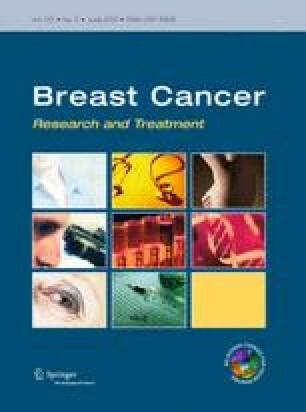 To determine whether mesothelin may be exploited as a novel immunotherapy target in breast cancer, an in vitro cell killing assay was performed to compare the ability of genetically modified T cells expressing a chimeric antibody receptor (CAR) specific for mesothelin (mesoCAR T cells) or non-transduced T cells to kill mesothelin-expressing primary breast cancer cells. A significantly higher anti-tumor cytotoxicity by mesoCAR T cells was observed (31.7 vs. 8.7 %, p < 0.001). Our results suggest that mesothelin has promise as a novel immunotherapy target for TNBC for which effective targeted therapy is lacking to date. This study was, in part, funded by a pilot grant from NCI CCSG 2-P30-CA-016520-35 and the Abramson Cancer Center Richardson Breast Cancer Research Fund to JT; and by Pennsylvania Department of Health grant #0972501 to RHV and CHJ.